BentoLunch.net - What's for lunch at our house: Last Day of Preschool Picnic! Last Day of Preschool Picnic! It's a potluck picnic, so we only need to bring water bottles & an item to share. And of course, it had to be cute! 24 happy little eggs, what do you think? 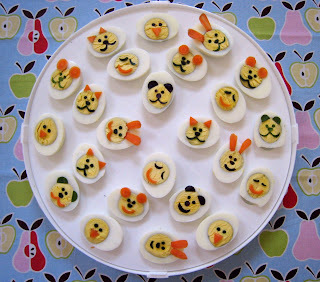 All the faces are made with cucumber, red lettuce and/or carrots. Ben is quite happy, hoping his preschool teachers will be amused too. Too cute! You out do yourself every time. 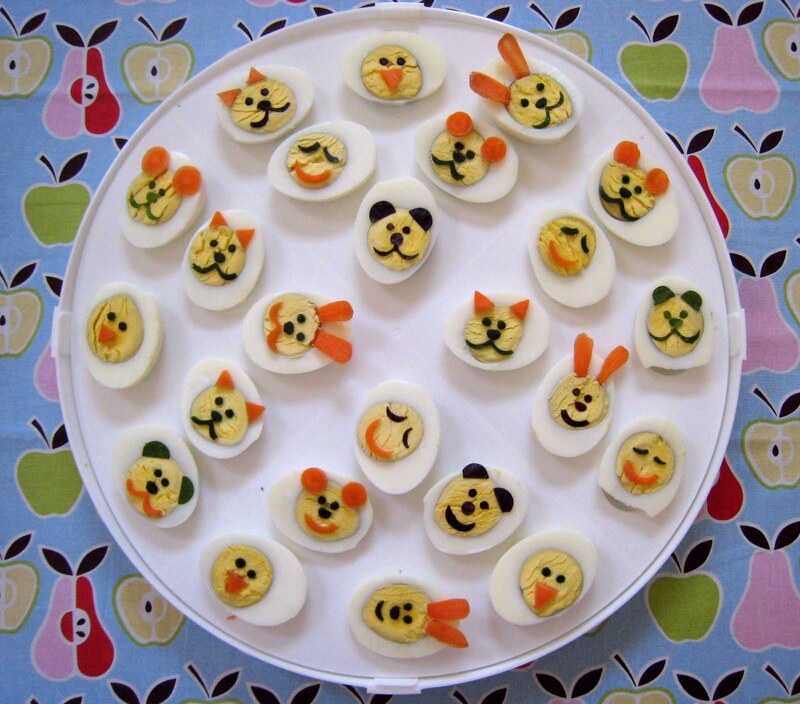 Just adorable......almost too cute to eat! These are soo cute!! My son would love these! When my kids were little this one mom brought jello jigglers to EVERY school celebration. I was always in awe. If you had been at my kid's school and showed up with these, you really would have given her a run for her money. I know this is an old post, but just spotted these, they are so cute!